During your initial consultation with Dr. Heinrich he will carefully and meticulously examine both the exterior and interior of your nose, along with the rest of your facial structure. Always keeping balance and proportion in mind, he will work with you to decide on the best path forward. 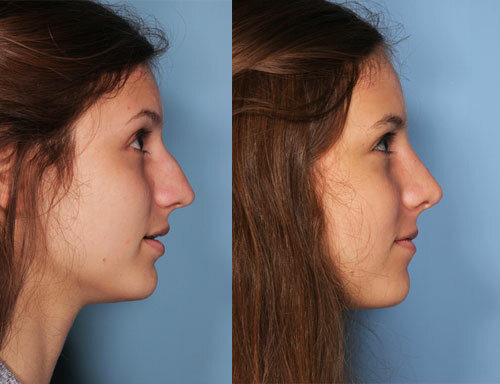 There are two fundamental approaches to rhinoplasty – open and closed. Open rhinoplasty involves a small incision to the columella (the fleshy end of the cartilage between the nasal passages), whereas the closed rhinoplasty is performed without cutting the columella. 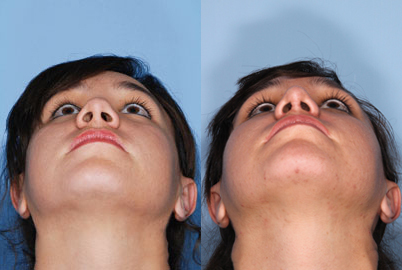 Large nostrils may be reduced through tiny incisions at the outer base of the nostrils. 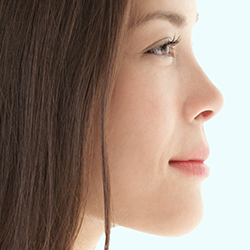 Dr. Heinrich will outline the differences between closed and open rhinoplasty and plan what is best for you. 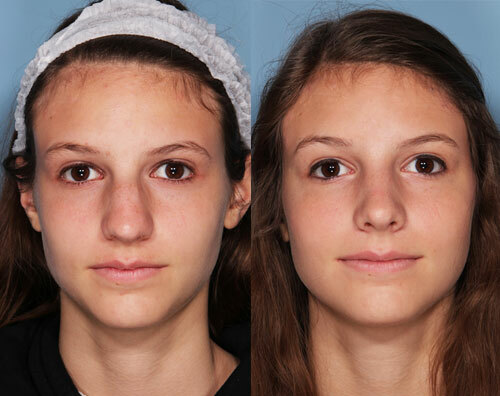 Depending on the complexity of the surgery, rhinoplasty can be done either with local or general anesthesia. Patients should be able to return home the same day as the procedure, with a friend or family member. Oral medication prescribed by Dr. Heinrich and cold compresses should be sufficient for post-operative discomfort. Some patients develop swelling and/or bruising around the eyes. This generally subsides in the first 2-5 days after surgery. Absorbable sutures are generally used inside the nose and do not need removal. Any external sutures, if required, are removed in 5-8 days. Nasal dressings and splints are also removed at 5-10 days after surgery. It is imperative that post-operative instructions are carefully followed. Keeping your head elevated will minimize swelling. It is important not to blow your nose and to avoid any impact to the nose while the structures inside and out are healing. Activities such as heavy lifting, excessive exertion, sun exposure or any activity that would increase the risk of injury should be avoided. If you wear glasses, you must be careful not to exert excess pressure on the bridge of the nose. Tape and other devices are sometimes used to permit wearing glasses without stressing the area during healing. 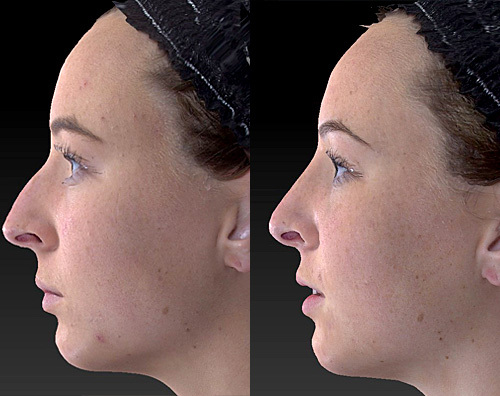 Follow-up care is crucial to success in rhinoplasty. Any concerns regarding your post operative course such as excess bleeding, unexpected swelling, fever or significant pain should be reported to your surgeon immediately. It is essential that you keep your follow-up appointments. As your healing is being monitored, there may be techniques such as massage, use of nasal sprays or even small injections of cortisone-like medications that can further enhance the desired result. 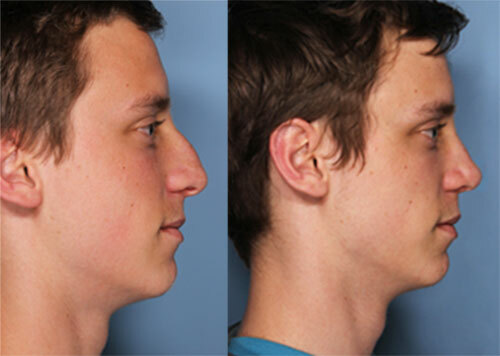 Rhinoplasty is a delicate operation and requires careful planning and meticulous technique. The end result, however, can be extremely gratifying for both patient and surgeon.